Fred Heather attended high school in Averill Park, New York. Next, he attended Hudson Valley Community College in Troy, New York and received a two year degree in Electrical Engineering Technology. This was followed by a B.S.E.E. degree from Rochester Institute of Technology (RIT). Fred’s career in electronics started in Troy, New York as an electrical technician working for the Hudson Valley Community College, and then while at RIT, he Co-op’d at Rome, New York with the 1844 Electrical Engineering Squadron. There, from 1972 to 1977, he engineered the installation of radio systems, security systems and crypto communications systems. In 1977, Fred joined the Naval Air Test Center at Patuxent River, MD as an aircraft Electromagnetic Environmental Effects (EEE) Test Engineer. He is currently the Lead EEE Engineer for the Joint Strike Fighter (JSF). This effort started with the Concept Development Aircraft (CDA) Program where he supported the development of the two competing airplane fighter designs conceived by Lockheed Martin and Boeing. The effort evolved to his development of EEE performance requirements that led to the contract award to Lockheed Martin for the F-35 JSF system design and development (SDD). The SDD program included technical management of the EEE program for three variants of the aircraft for conventional take off (CTOL), short take off and vertical landing (STOVL), and Carrier Variant. The international aspect of the program added, in addition to the US Air Force (USAF), US Navy (USN), and US Marine Corps (USMC), the countries of UK, Canada, Australia, Netherlands, Denmark, Norway, Italy, and Turkey for coordination of EEE requirements (i.e. spectrum, Electromagnetic Effects – EME). Under his leadership, technologies developed in past efforts for High Intensity Radiated Fields (HIRF) for civil aircraft are being applied to the JSF for low level coupling measurements that will support EEE life cycle hardness surveillance and maintenance. From 1990 to 2000, Fred was the program manager for the Electromagnetic Environment Effects Generating System at Patuxent River (EMEGS). This capability provided compete simulation of ship based high power radars and communication systems. This was a $16 million dollar hardware upgrade to the high power capability at Patuxent River that added the ability to simulate world wide high power emitters. The program added a 300 KW HF broadcast simulator, a 5 MW magnetron system, a 400 KW C band radar simulator and a wide pulse high power simulator. During the same time, Fred was a special projects lead conducting tests on a wide variety of platforms and systems. He was a member of the committee that developed MIL-STD-464, research manager of the Fiber-Optic Microwave Transmission System (FOMTS), the E3 Expert Program for Computational Electromagnetics, and the HF Lossy Line small business innovative research program. Both the FOMTS and E3 Expert projects were successful in moving from concept though development and into production products used on the JSF. From 1977 to 1990, Fred was the Naval Air Test Center, Patuxent River, MD, Lead EEE Test Engineer for Strike Aircraft. He planned, coordinated, conducted and managed complex EEE testing of numerous strike aircraft including the F/A1-18, F-14, A-6, A-7, A-4, OV-10, AV-8, F-4, and F-16. He supported the development of the High Intensity Radiated Field (HIRF) technology for civil aircraft; served as the chair of the committee that wrote the HIRF Users Guide and conducted research to define the EME for civil aircraft operating in the US. The data is provided in a Navy report to the FAA Technical Center that is available to the public. Fred has been very active in the IEEE EMC Society. He served four terms as a member of the Board of Directors and is currently serving as the General Chair for the 2010 IEEE International Symposium on EMC in Fort Lauderdale, FL. The 2010 event is unique in that he is planning the event with a national committee, since there is no local chapter in the Fort Lauderdale/Miami area. The Fort Lauderdale location is a great place for the event with a dedicated modern Greater Fort Lauderdale/Broward County Convention Center facility, and surrounding Atlantic beach front and inter-coastal waterway community. The symposium starts early this year on 25 July and runs to 30 July 2010. For all the details, go to the www.EMC2010.org website. Fred also serves as the chair of the EMC Society Regional Activities Committee and the chair of the EMC Society Information Technology Committee. On the technical side he is a member of the IEEE Standards committee and Working Group Chair for the development of a Replaceable Electronic Module Standard that extends MIL-STD-461 to qualify cards that go in a card rack. 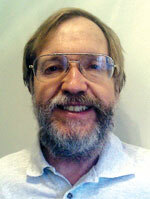 He is the Chair of the Southern Maryland Joint Chapter of the Communications, Computer and EMC Societies. Past professional activities include membership in the SAE AE4 and SAE propulsion controls committees. He has provided seminars on MIL-STD-464, MIL-STD-461, and HIRF with CKC Labs and has presented papers and workshop demonstrations at several past IEEE EMC Symposia and DoD Program Reviews. In his spare time, Fred enjoys sailing in the nearby St. Mary’s River, scuba diving in the Caribbean and skiing in New York where there are good snow ski conditions. Fred is also a Girl Scouts Trainer, specializing in outdoor training (camping, hiking, and backpacking). He is president and founder of the not-for-profit group, Power Jam Music Alliance, Inc. that organizes events matching up the talents of musicians with concert events for the community throughout the year. He is the director of the Park Rock Fest, an annual major rock concert that runs for two days, 12 hours each day with six stages. This personal interest has resulted in becoming a sound and lighting engineer working with various local, regional and national acts providing sound reinforcement, staging and lighting. Fred is the music ministry leader for a contemporary music group at the Immaculate Heart of Mary Catholic Church, providing vocals and acoustic guitar.